Women have feminine wash and feminine wipes to keep their intimate areas fresh and clean all day. But have you heard of feminine spray? Intimist Feminine Spray is a new innovative product for women who are always on-the-go and unable to clean themselves whenever they are outdoors. 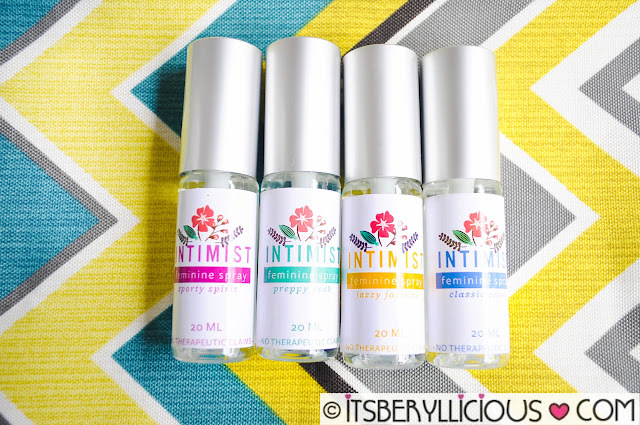 Intimist Feminine Spray is a feminine care product for women who lead an active lifestyle and place high regard for hygiene and personal wellness. It is a solution to various problems that most women are concern about with regards to personal hygiene. Some of these problems are odor-causing bacteria and itchiness in the intimate area of the body. 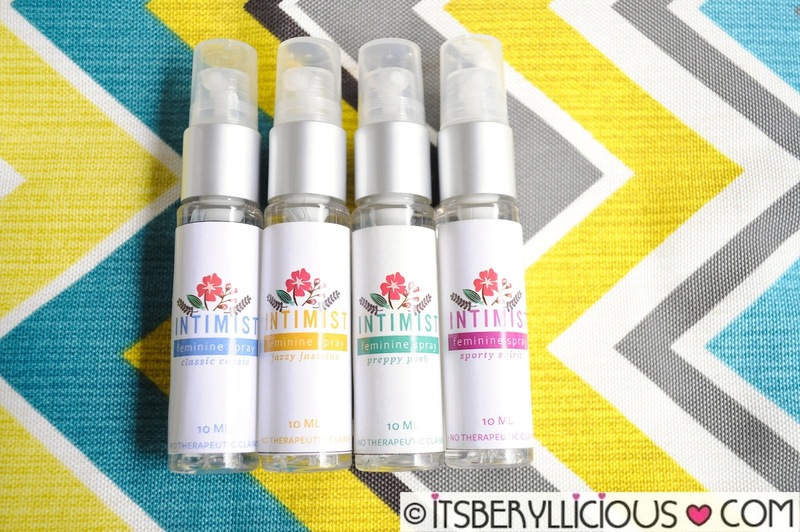 Intimist comes in refillable bottle which has a cheaper cost-per-use than other feminine wipes. Plus, it also comes in handy when restrooms lack amenities that some women need. Tissue alone is not enough to wipe the intimate area as it absorbs excess moisture that can cause skin irritation. 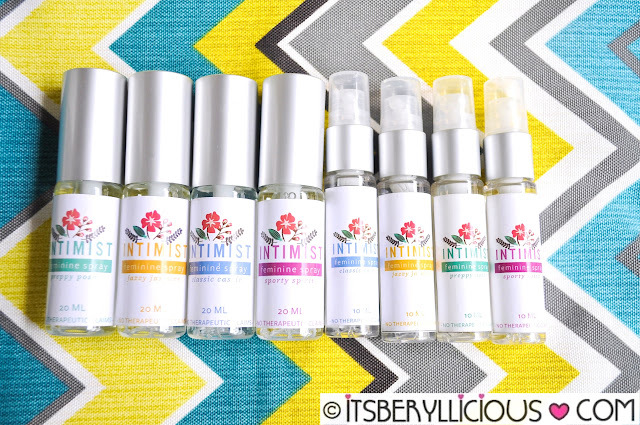 Good thing Intimist Feminine Spray is a non-rinse anti-bacterial solution that keeps the intimate area clean even in waterless situations. Intimist Feminine Spray comes in three travel sizes: 10ml, 20ml and 60ml, and four fragrant scents: Classic Cassie, Jazzy Jasmine, Preppy Posh, Sporty Spirit. Aside from it's travel-sized packaging, I love that it comes in a handy spray bottle that looks like a regular cologne spray or perfume bottle. Since the spray bottles are refillable, you can just buy the refill which can save you more than getting another spray bottle. For orders and more info, check out Intimist Feminine Spray Facebook Page.